Discussion in 'Replica Props' started by hydin, Oct 18, 2011. 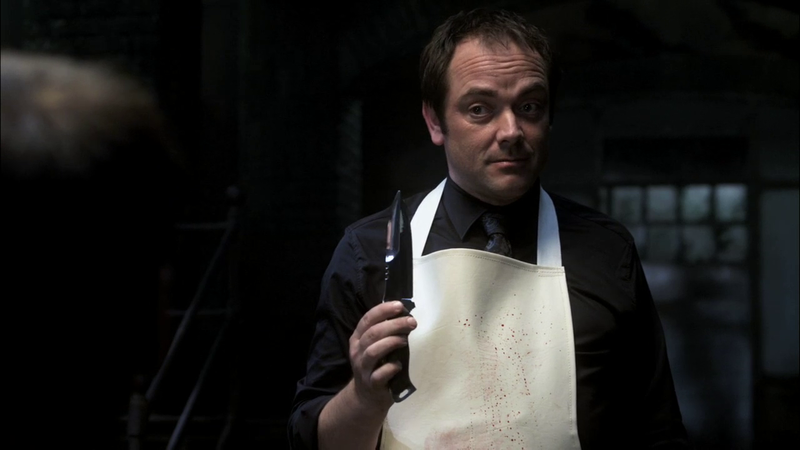 In season 6, we see that Crowley has managed to get the Alphas of a few monsters, and proceeded to torture them. With the shapeshifter alpha, he mentions making a knife out of iridium. I believe the exact quote was "It would have been cheaper to drop a castle on you!" I don't think the prop knife was pure iridium , but it does look like a mass produced dagger of some kind. Any ideas on what it is or what brand? Didn't see any real markings on it to show what it might be, so I have no idea what brands to look at. Here's some screencaps of it. protokev DMD and Nexus6 like this. It kinda looks similar to a Robert Shiflett throwing knife so id start with a search with those keywords... I'm almost 100% positive it's a throwing knife of some fashion though. I hope that i have pointed you in the right direction. Cheers! Good find though! :thumbsup BTW..look at the location of the company tha carries them....BC..same as where Supernatural is shot..interesting. Looks like the model I am after is the silver colored Hornet. Might have to find a "close nuff" flea market one. I loved the one they used in The Crow the first film. Any Idea what blade that was ? Always thought it was custom job. Sorry i did not mean to hijack your post just couldn't help it, You guys know your steel. 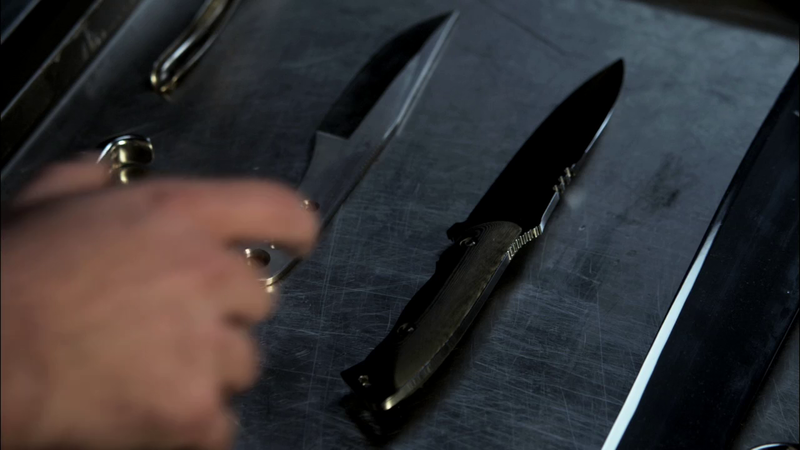 So I remember reading some where that Brandon actually took interest in the knife and wanted it after the film wrapped . Guess the prop guy who made it wouldn't give it up even after Brandon offered him a large amount of money . wrapped. after that who knows not sure but think she resold it . Here is the link the final fight on the roof you can see the guy holding it for a few seconds before Brandon clamps down on his face with the pain . Looks like a Gil Hibbon style... damned if I can place it though. Does really look like something that's been mass produced though. I will dig around a bit and see what I can find.